Following a recent business trip to British Columbia, I had the pleasure of lunching with two dear friends, Eileen and Nanette. I’ll never forget how Eileen suddenly suggested that the three of us plan a short getaway back up to Canada for a birthday celebration for Nanette and me. Of course it took several emails back and forth to set the dates, and we divvied up the hotel reserving, driving, event planning and so forth among us. But it was a GO!! Eileen was the chauffeur, Nanette the map reader and navigator, and I was the event and restaurant planner. Seattleites consider Vancouver, BC our back yard. It’s such an easy drive – only three hours including customs and immigration screening at the US-Canadian border. 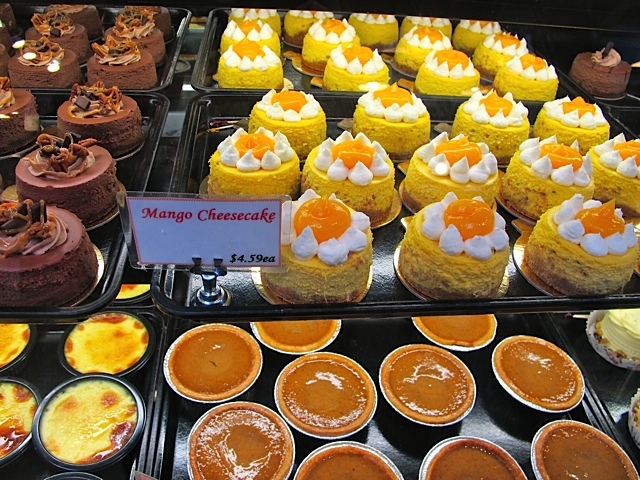 I was chomping at the bit to stroll through the Granville Market and eat at the numerous ethnic and seafood restaurants I’ve come to know and love throughout the city. Because we had a car and a good map we toured the requisite places: Chinatown, Robson Street, Gastown. 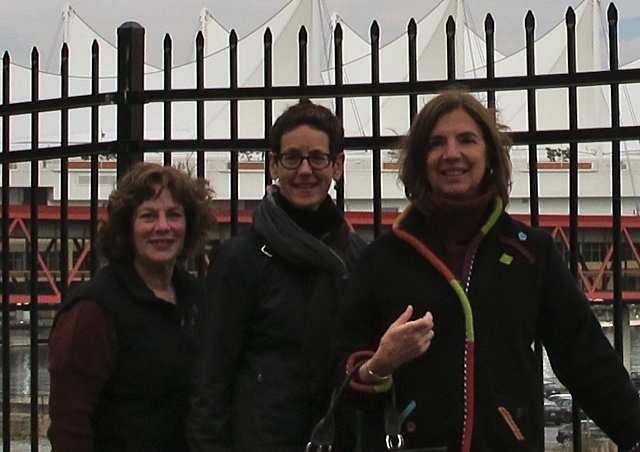 Every day we walked the city – to Stanley Park, the Aquarium and Bloedel Conservatory. The places to see seemed endless. I paid close attention to everything culinary from the minute we hit the streets, scouting around for new, fun restaurants. The first morning after we had caffeine in our bloodstream at the Moda Hotel, we headed to the Granville Market. I had been there at least five times prior to this visit, yet it always thrills me to walk and observe the beautiful displays and stalls. Every food item imaginable is on display – everything from fresh fruits and vegetables, handmade pastas, ethnic delicacies, beautiful meats, fresh fish, delicious baked goods…as we strolled the stalls I couldn’t help but think what fun it would be to live nearby this market so that I could shop there daily and expand my culinary repertoire. Seven kinds of herring? Ten types of salmon jerky? The best bagels I have had in years? The grass is always greener, I guess. Our first dinner was at Lift Bar & Grill, a beautiful restaurant along the promenade walk to Stanley Park. Each guest was given their own iPad as a menu …nice touch! We sampled many wonderful items including chicken livers, cottage cheese/heirloom tomato salad, beet walnut salad, spiced calamari, and veal cheeks. Every single item was cooked to perfection. Happy girls, following our decadent meal we walked to a restaurant lounge nearby to listen to a local guitarist for a couple of hours. The following morning we strolled through Gas Town and ended up at a place for lunch by happenstance. The weather was nippy so as soon as I spotted my beloved turkey wings on the menu I knew what I was having. This meal reminded that these are so inexpensive and easy to prepare and inspired me to share my recipe with you. They are perfect cold weather vittles, and your kitchen will smell heavenly. 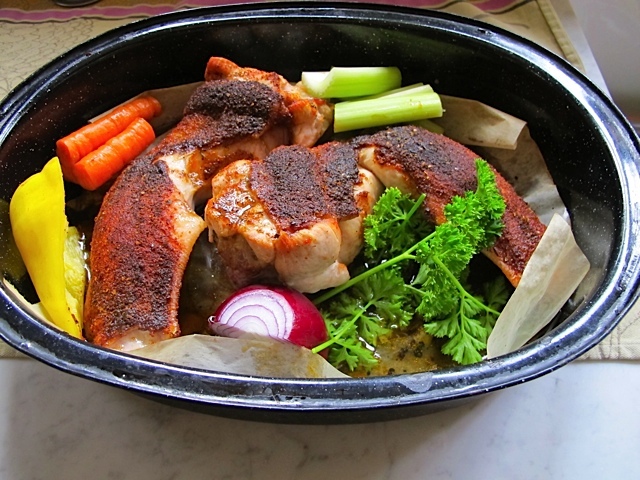 So here is how I do it – easy peasy, braised until they fall off the bone. Mix all together well and store airtight at room temperature for up to 6 months. I use it on poultry, fish and even vegetables. 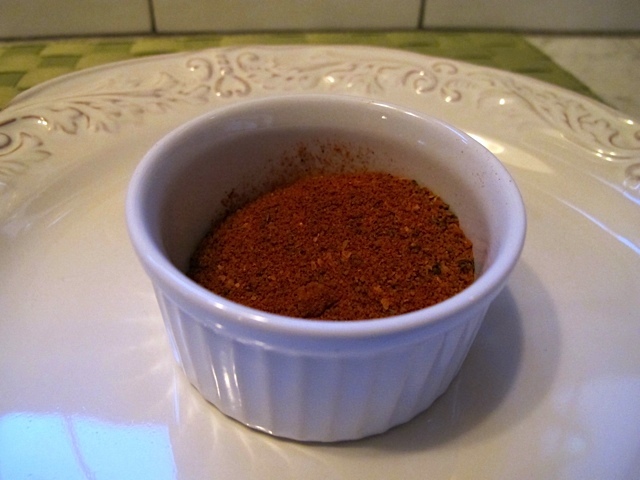 The brown sugar and paprika give a beautiful brown color to anything that is seared or sautéed. I even put this in jars to bring to some of my special friends! 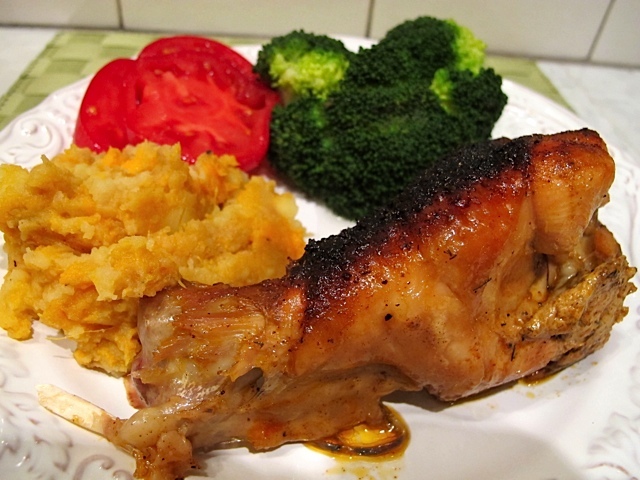 Cut turkey wings at joints and discard tips. (If you can’t cut them in half don’t worry – they will fall off the bone when finished cooking.) Rub with the olive oil and then pat the spice rub liberally onto the skin of the wings. Arrange the wing portions in a roasting pan. Bake without a cover at until golden brown, about 30 minutes. Add vegetables, poking them among the wings and pour chicken broth into the bottom of the roaster. Cover, continue baking at 350 degrees for 2 hours, or until extremely tender. Baste with the juices once or twice toward the end. The juice becomes very flavorful and I like it over quinoa or mashed root vegetables of any kind. You could thicken the gravy if you prefer it this way. Note: in electric roaster, 1/2 hr at 450 then 45 min at 350 with 1 1/2 c broth and veggies under. 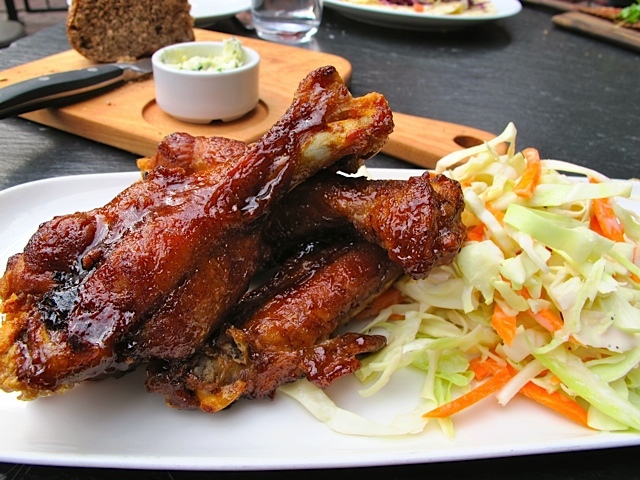 This entry was posted in Meat, North America and tagged Lift Bar & Grill, Moda Hotel, Turkey Wings, Vancouver. Bookmark the permalink. Let’s do it again and again. Such good travel partners we 3 are!! What a concept…..a mini-Thanksgiving with turkey wings to help you fly through the holidaze 🙂 . Pretend I am there and enjoy each and every one of our wonderful family members. So easy and quick…and such fun!